Singer Adele canceled tour dates, citing laryngitis. 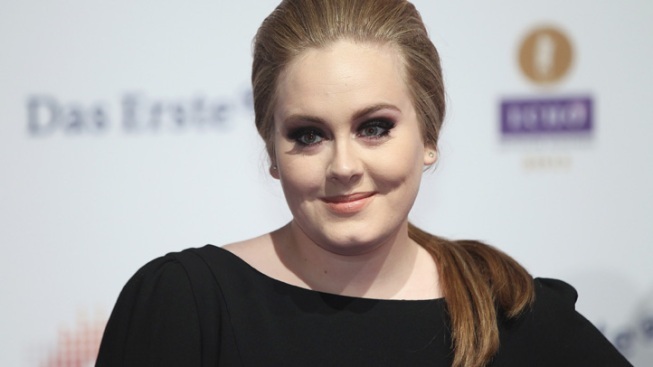 British singer Adele has canceled the remaining dates on her North American tour because of her laryngitis. In a statement Friday, Adele said she was "really frustrated" but "there is absolutely nothing I can do but take the doctor's advice and rest some more." The announcement comes days after the singer postponed five dates on the tour. She is now canceling the nine remaining shows. The 23-year-old's sophomore album, "21," is the best-selling album of the year. It has sold close to two million units in America. Her single, "Rolling In the Deep," is currently No. 1 on Billboard's Hot 100 charts. The statement also said that rescheduling the tour dates was "being investigated."